Call 831 477 7007 to set up. Gain healing clarity on relationships, blocks to success, self-defeating habits, personal issues. As Dr. Laurie steers you to understand the variety of layers involved in the problem, you begin to shift. New ways to approach the situation are understood. The gifts that your challenges are meant to deliver to you, become evident. New flavors and feelings of peace can now occur. Hundreds of people have changed emotional and spiritual states with Dr. Laurie's approach. She works with you so that you make inner adjustments in relationship to the essence-issues effecting you and others which have caused challenging situations for the mind, body, and spirit. Many have reported that they accomplish in a few sessions what they were unable to create with years of help elsewhere. She assists you to re-tune to your soul essence and the universal essence. While many have reported physical healings, her primary focus is on the emotional and spiritual. These sessions facilitate mental, emotional, and spiritual transformation. Ready to change a big challenge? Ready to ascend into a cleaner, clearer state of unconditional love? Ready to discover oneness? Ready to alter the challenges that have not left? People from all over the world have come to Dr. Laurie and her cat Jessie after years of therapy, coaching and other healings, still yearning for a shift. In 1-12 sessions they have accomplished what they long for. 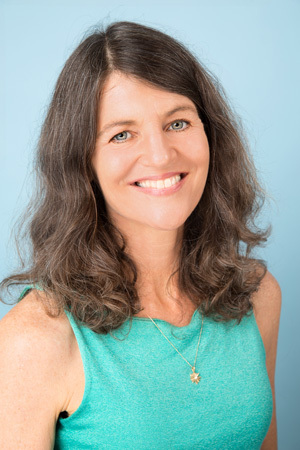 Dr. Laurie Moore has spent years fine tuning a system by which she identifies the unseen issues impeding the change in patterns you have yearned to find. She identifies the patterns via spiritual, physical, mental, emotional, outside, and inside unseen obstacles simply and clearly. In this process you receive healing, answers, and a path for full change. Dr. Laurie and Jessie have effectively assisted people from all cultures, styles and walks of life to address their personal & private challenges. They are nonjudgmental and will help you to shift yourself. They see good in all. Dr. Laurie has helped TV stars, spiritula teachers, movie stars, nurses, school teachers, world-famous authors and speakers, many healers and therapists, animal communicators, neighbors, people leading simple private lives, people on the street, people of great wealth, engineers, directors, government employees, musicians, artists, spiritual-monks, and many more! When she and Jessie work as a combo, transformation and miracles happen. If you or your animal are experiencing physical illness or pain, please call a vet, holistic doctor, or licensed physical health practioner right away. Dr. Laurie is available to work with mental, emotional, and spiritual transformation only. Just wanna share our experiences since your free healing sessions. You did my healing November last year after my diagnosis with gall stones. I still have NO symptoms or other issues with that since you sent me some healing. We are sooo happy that you offer this gift to the World. Thank You so much!